PCHA closes September’s Mental Health Series with Chistina Babera’s story. 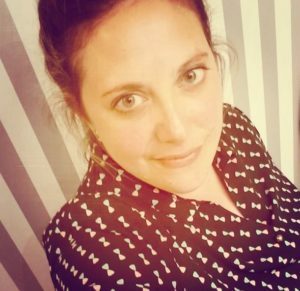 Christina shares her experience as a patient with us, highlighting the important role talking about mental health plays in destroying the stigma. This past October, after being twenty nine years surgery free, my world was completely shaken and turned upside down. 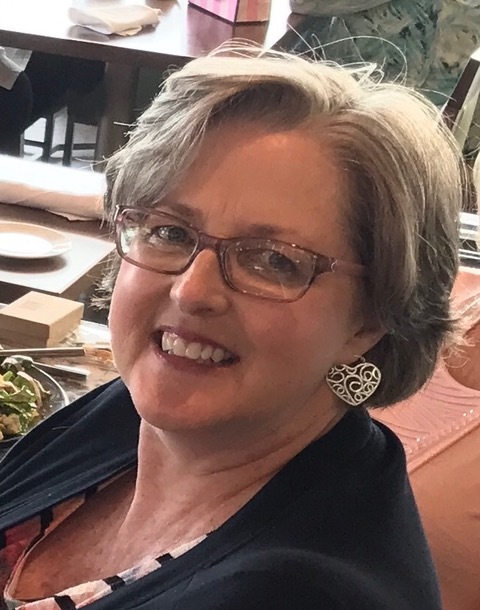 I had gone in for a routine appointment, when my cardiologist noted a drastic drop in heart function and had discovered my mitral valve needed to be repaired as quickly as possible. 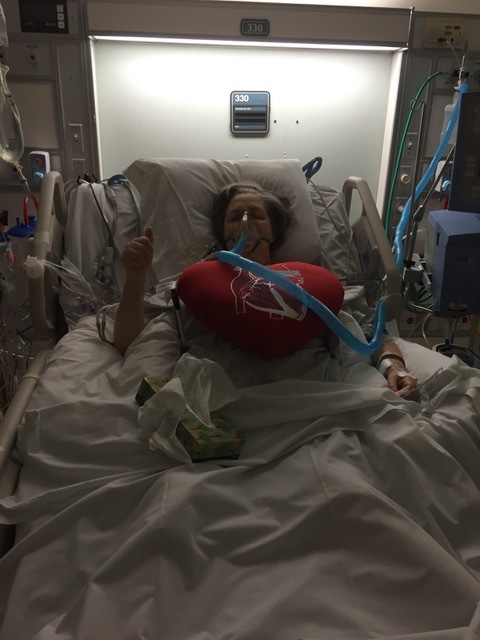 Three hours post operatively, in the ICU, while still on a ventilator, I went into complete cardiac arrest. I woke up for the first time after surgery to my own CPR. This was my first memory. I am a pediatric nurse. I understood everything the doctors were saying. 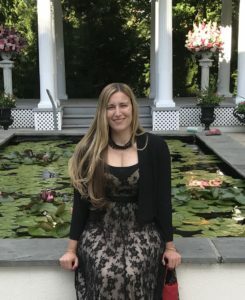 I felt every single compression my nurse gave me, knew the medications being shouted out were medications we use in the code algorithms at work in my own hospital, and knew this was very bad. I couldn’t see much, but I could hear and feel everything. I knew what was happening. I couldn’t do anything about it. I remember thinking with everything I had that I needed to trust them and hope I wake up, telling them in my mind I wanted to wake up again, willing them to hear my thoughts. My last memory was of my doctor saying “Just shock her!”, and feeling the defibrillator pads being placed on me. The subsequent month long stay in the hospital and the months after it, felt like I had fallen down a rabbit hole. We were all unprepared for the complications that followed. I could remember snippets of conversation between nurses and doctors outside my room. “Why is her rhythm this way?” “Why is her heart rate so low?” More tests were scheduled, pediatric cardiologists were called in to consult. “Can we get her original operative note from the 1980’s?” We could not—the hospital did not keep records that long. After many different tests, several calls to doctors from long ago, and one wonderful cardiologist who, on his vacation took time to search through his old microfiche files, we discovered, of course, that things were going to be more complicated than we thought. I had been a surfer, a runner (who needed lots of breaks, but still a runner), a hiker, and a volunteer for medical missions overseas, and here I found myself unable to walk the end of the hallway. I could feel my “of course”—the reassurances that things would go back to the way they were—slipping away. Of course, we all know the statistics. If you live in this world, you know CHD is the number one birth defect, and you know all too well it does not receive the attention from the rest of the world that it deserves. Of course, you know more about your own defect or your child’s defect than many of the healthcare providers you come across. Of course, we know all too well that life can be very unfair, and of course it is always colored with its beautiful moments. But we are all so busy navigating every physical ailment and case management part of CHD that, of course, we do not take care of ourselves—of course we do not stop to think about the depression, the anxiety, the PTSD forming in the background. I had all of these things, and I was the last to know about them. Of course I had anxiety—from worrying about everything that could still go wrong. In the months that followed, well, let’s just say the nurse practitioner that fielded all my calls and emails deserves a medal. Every temperature increase was a reason to suspect endocarditis. At cardiac rehab, I would position myself near the heart monitor, watch my own rhythm—no, this rate is too fast too soon– I would say to the nurses, yes, the ones that, you know, do this for a living. Of course I was depressed—for the life I had and how this “new” one would be different. Limited somehow. Of course I didn’t see it. I was sleeping into the afternoon because my body was “just recovering”. I was not eating because I was not as active and “just didn’t have the appetite”. The thing about mental health is the stigma associated with it, but the bigger thing about it is that, when you’re a CHD patient or parent, you get so used to terms like “warrior” and “survivor”, that of course, you don’t realize your mental health is taking a hit. It was a doctor, an adult congenital heart specialist and a man I had studied under as a student, and that medal deserving NP, that pulled me into the office. During an appointment I had booked for a second opinion when I was (anxiously) worried about my heart, they pulled me in and very delicately discussed the changes they saw in me. What was important was the absolute validity they gave to all of them. They said he could not imagine what he would be like had they gone through my experience, acknowledged that it is life changing what we go through, and told me I need to recognize the importance of having gone through something life altering. We discussed anxiety, depression, and how to seek out resources for talk therapy. This is huge. Half the time, it seems as though cardiologists do not recognize the importance of mental health, therapy, and how to find help, and other times, when they do, we are extremely closed off to the idea. We immediately go on the defense, assuming they are not paying attention to our physical symptoms, dismissing them as mental. Sometimes this is true, but sometimes it’s not. We fall into the trap of feeling stigmatized because there is such a stigma surrounding the need for help. And after all, we have gone through so much, we are always told we are so strong, fierce, courageous etc. that the idea of being emotionally fragile doesn’t seem to fit in with all these other adjectives that we are. I share this story with you for a few reasons. In order for the stigma to be removed, we have to first be comfortable sharing our journeys, even the dark parts of it. Of course it is normal. But if we don’t talk about it openly and ask for help, we don’t even take the first step in removing the negativity associated with it. In order for any change to take place, the conversation has to exist. Part of me, the patient, feels that we need to be open, we need to stand proud, of our WHOLE story. Because without us unashamedly sharing our stories, the stigma will always be there. And part of me- the nurse- sees the healthcare system and knows that, despite the best intention of everyone, real gaps remain. Of course they do. There is still so much we do not know. They can only be filled by people that live these experiences. Do not be afraid to fight for yourself, or for your children. Things like early intervention and therapy are huge. Do not be put off by the idea. Embrace it. And if you are not offered it, please ask. Everyone deserves to be aware of what resources are there. We are a family of first and second generation CHD patients. That matters. Our being here and how we tell our stories, sets a precedent for all those in our family who will follow, to have it that much better. “Words are, of course, the most powerful drug used by mankind.” -Rudyard Kipling. 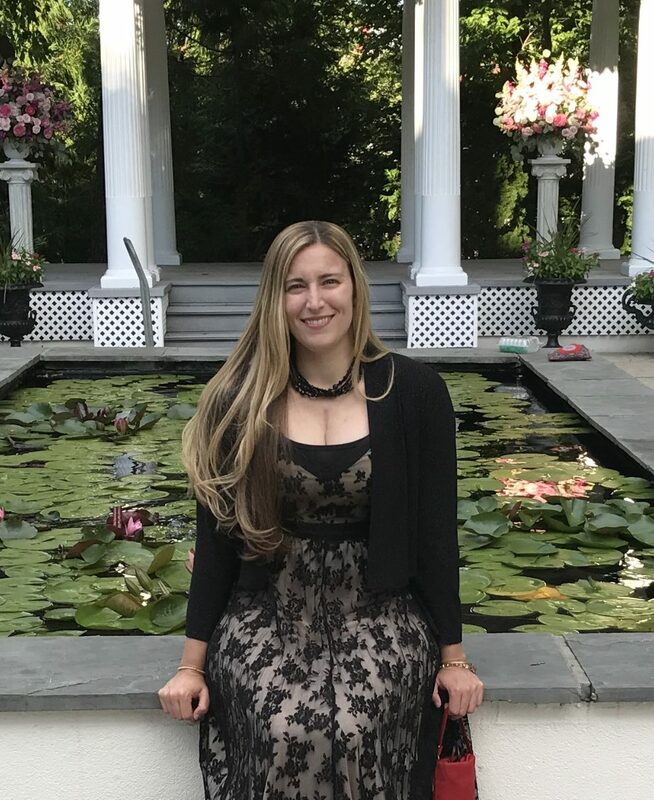 Christina Barbera is native New Yorker, born with Cor Triatriatum, a cleft mitral valve, a patent foramen ovale, and several vasculature anomalies that include partial anomalous pulmonary venous return and a left superior vena cava draining to a large coronary sinus. After complications from her last open heart surgery, she has developed issues with her conduction system. She is a Registered Nurse, a Certified Pediatric Nurse, and she recently passed her boards as a Certified Pediatric Nurse Practitioner. She believes her patients teach her something new about life every day and constantly remind her to be grateful. 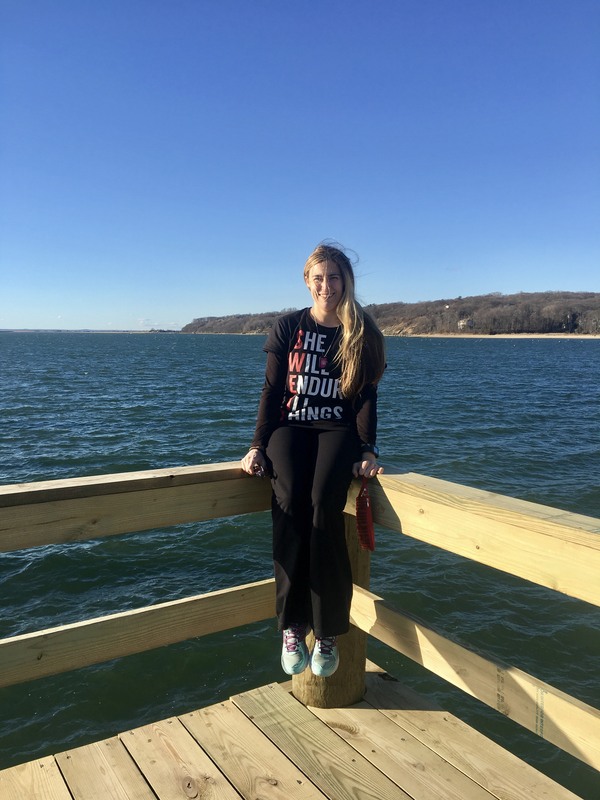 She is currently in a doctoral program at Stony Brook University seeking her DNP and travels to Haiti on medical missions, providing care to children in an orphanage in the mountains over the Dumay region. She loves coffee, her dog, her friends and family, books, and anything water related, in no particular order. 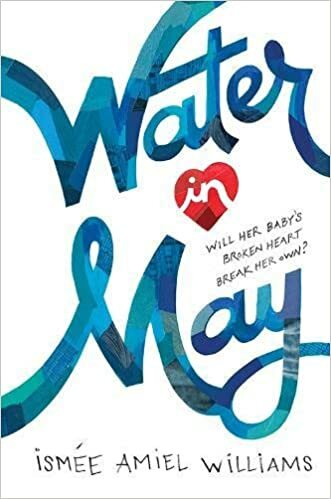 PCHA’s Jennifer Weiner had the great opportunity to receive an advanced copy of Water in May, a Young Adult novel by former Pediatric Cardiologist Ismée Williams. Read on as Jennifer shares her thoughts on the story. Despite being the number one birth defect, CHD is little known in mainstream society (we’ll get there! ), so it’s a special experience when we meet characters who have walked in our world in the books we read. 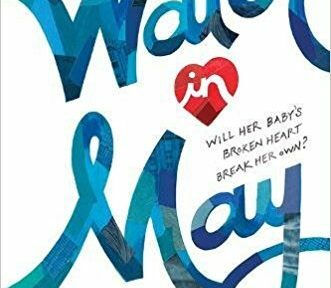 In Water in May we meet Mari, a fifteen year old girl who has gone through life feeling unloved, unwanted. When she learns she is pregnant, she believes her baby is her chance for a real family. But when doctors discover her baby has a congenital heart defect, that family is jeopardized. As a reader, I loved the vivid world created by author Ismée Williams, the dynamic characters, their distinct personalities, and the fierce bond between Mari and her friends. As a patient, I related especially to Mari’s experience with Dr. Love, her baby’s cardiologist. Doc, as she often calls him, is compassionate. His concern for Mari is sincere and goes beyond her baby’s diagnosis. Doc does not underestimate Mari. The respect he shows her and his straight forward approach creates a trust between the two, allowing for a sense of security, when nothing is certain. (If you’re lucky, like me, a certain doctor crossed your mind just now.) Mari and Doc’s relationship demonstrates just how important those with us on this CHD journey become to us and how we can rely on each other, when we don’t know where else to turn. We may all come from different backgrounds and face different obstacles, but Water in May shows us the unwavering strength we can all find through love. You can get your copy of Water in May on Amazon. We return, with the first September Blog, to PCHA’s Mental Health Series. 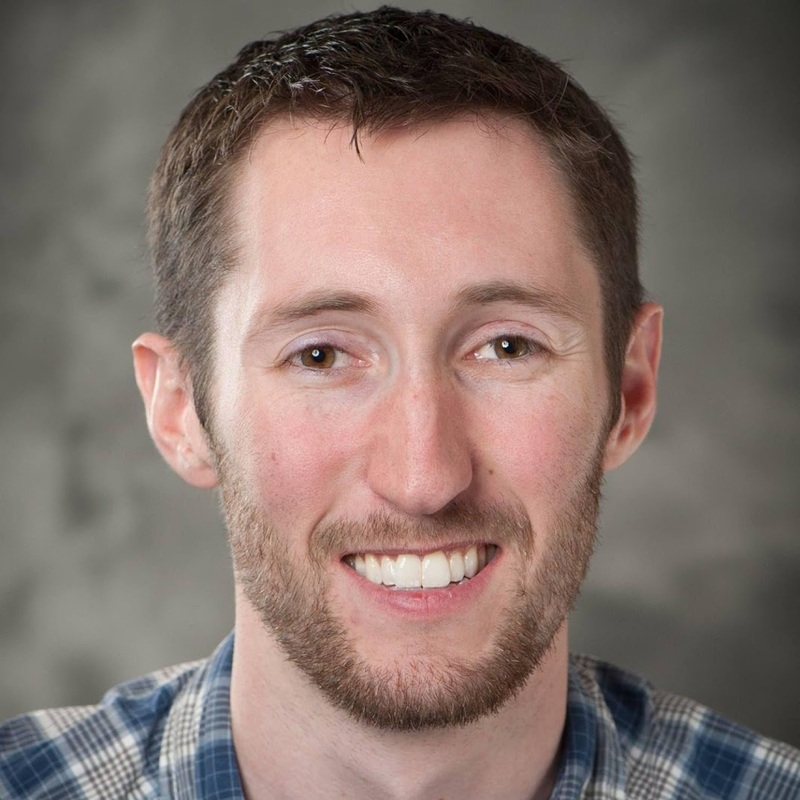 Child and adult psychotherapist and CHD Patient, Austin Wilmot, helps demystify mental illness as he answers questions often associated with those affected by CHD. PCHA: Thank you for taking the time to share with PCHA about mental health and congenital heart disease. As a psychotherapist and someone with personal experience in the CHD community, we are interested in your perspective on the kinds of issues that patients and families deal with. 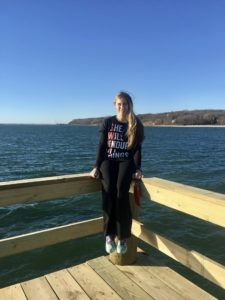 As you know, we recently had two blog contributions—one written by a 26-year-old woman living with CHD, and another written by a mother of a 5-year-old child living with CHD. Both of these are a part of our mental health series, and it was clear that medical trauma and PTSD was a significant topic in both pieces. Mr. Wilmot: Thank you for reaching out to me to contribute to such an important conversation—one that I think is beginning to happen more and more. I am fortunate to be able to hear and understand many perspectives and experiences from those in the CHD community. As I’ve been thinking about this interview, there comes to mind a particular quote I would like to start with: “Every adult with CHD was once a child with CHD.” I thank the Adult Congenital Heart Association for their powerful reminder of this truth, and I think it opens the door for thinking critically about how early experiences—especially, for our purposes here, the traumatic effect of severe, serious, painful and chronic medical conditions and procedures—impact future development and mental health. You know, there was a time, not too terribly long ago, when the belief that “babies don’t feel pain” was held in the medical community. An opinion article written for The New York Times titled, “Why Infant Surgery Without Anesthesia Went Unchallenged”, was published in 1987 and sought to draw additional attention to the alarming trend of indifference to pain. Although the practice of withholding anesthesia and postoperative pain relief from babies and small children was essentially done away with by the end of the 1970s, ideas about early emotional trauma stemming from these experiences and the psychological aspects of prolonged hospital stays and medical interventions have only recently, in some arenas, gained serious consideration. Even so, there remain profound gaps in education and awareness by professionals, patients and families. It becomes painfully obvious when one listens to professionals speak on mental health with CHD-related communities without mention of the word “trauma” or when I hear advice akin to how someone can just change their thinking to feel better. In my experience, feeling better is not about willpower. It is about treatment. As you can see from your previous two blog contributors, there is much to say about these traumatic experiences from the parental, familial and patient perspectives that have had an enduring, pervasive effect. I imagine that readers of this blog also have much to say, as well. I invite readers to email me (aw@austinwilmot.com) with their own associations that come to mind about medical trauma in your experience (across the lifespan). Of course, this is voluntary, confidential and would never be linked to you. In terms of the national discussion intersecting mental health and congenital heart disease, I find it helpful to look at the literature. A recent search of “mental health congenital heart disease” on PubMed (the National Institutes’ of Health literature database) revealed a total of 198 articles total, 92 articles in the last five years—27 of those in the last year. The phraseology of “medical trauma” is becoming more utilized in the literature. A search of PubMed revealed 78 papers ever published with that particular phrase, 24 in the last five years, and less than five that directly relate by search to “congenital heart disease mental health”. A search of PEP-Web, the psychoanalytic literature database, shows 20 papers with “medical trauma” in the paper and only two with it in the title. There was a paper in 1976 and then not much until the 1990s. All of this is to say that the impact of medical trauma and medical intervention in early life (infancy) and throughout the life of a person living with CHD is profound. However, as the most common form of trauma, medical trauma is the least discussed in the literature. Directly intervening at the level of the inner, emotional world of the child living with congenital heart disease is often avoided or forgotten by professionals and parents or caregivers, alike. Many mental health providers do not know how to tread into helping children with chronic medical conditions, and many parents are afraid or do not know how to talk about such feelings or realities in a developmentally appropriate way. Such conversations are frequently ‘put off’ for later, in the hope that the child can resolve or ‘get over’ anxieties that seem premature or unfounded based on the child’s present medical status (e.g., being alive, having survived). In this way, feelings can become minimized and psychological symptoms can result in manifestations of emotional and behavior problems. It is known in the literature that the prevalence of anxiety, depression and trauma-related disorders is increased in the CHD population, and that addressing emotional distress earlier than later benefits the child and family throughout the lifespan. PCHA: Why has the awareness of medical procedures as a form of trauma been minimal? Mr. Wilmot: Going off of your word “minimal”, it is something that I believe has been minimized, and at times, denied. “These medical procedures and operations have to happen anyway, so what’s the big deal when it can be talked about later?” – One might ask. Well, there is quite a bit to talk about. So, let’s begin by talking about medical trauma. Caregivers and medical personnel are well-meaning. However, just because intent is good does not mean the impact follows suit. These well-meaning caregivers and medical personnel may rather see themselves as only good, carrying out helpful acts, instead of as perpetrators of forced, violent, torturous or intrusive acts carried out without consent of the patient. If you really think about the experience of the infant or child, a bodily and psychic invasion is also a valid experience that must be seriously taken up. While good and helpful these individuals are, operating and holding the patient in mind from that first perspective alone will leave the infant, child or adolescent quite alone with another experience entirely—based on their individual, developmental level. For instance, early surgeries can be experienced as attacks on the body, caregivers felt to be in collusion with allowing such attacks and torture on the body at the hands of medical professionals—people that are said to help, but also cause an experience of pain. It takes a particular degree of cognitive and emotional development to be able to understand that the person causing pain is actually doing a helpful, perhaps life-saving act. Additionally, traumatic aloneness can pervade during short- and long-term hospital stays and isolation. “Is this an act of punishment on me?” “I am bad.” “The world is dangerous.” “I am dangerous.” “I am not safe.” These are examples of personal, internal meanings that can become embedded as a traumatic, overwhelming experience is reckoned with by the mind and brought into relation with self and others. Again, this depends on the developmental level and unique set of internal and external resources of the patient. As an aside, circumcision is an example of routine procedure that did not begin with concomitant interest in understanding the inner, psychological impact of what that kind of action could effect on the psyche. In that arena, there is greater dialogue and consideration given to the mental and emotional impact of having someone else decide what is done with someone else’s body. Since intervention in the case of CHD is almost always required to prevent death, this can provide another reason as for why the impact of intervention is not thought about. “One had to have surgery to survive, so one must be grateful and happy to be alive.” Or, “you would have chosen to have surgery anyway, so just get over it.” If those lines of thinking are the only allowed stance, then there can be whole swaths of emotional experience blocked from exploration or expression. This can leave someone emotionally deadened, disallowing feelings in a similar way to suffering with survivor’s guilt. “I survived such and such an experience, or survived longer than so and so, so for me to enjoy more pleasure doing or pursuing such and such as a means to thriving more would be ungrateful, selfish and impulsive“. That line of thinking, again, forecloses the exploration of one’s own full spectrum of feelings and capacity for aliveness. As I related to earlier, the idea that babies feel and remember pain (physical and emotional) has had all sorts of resistance to it. Firstly, it can be a difficult idea to bring into one’s mind and think about—it forces one to think critically about past, present and future relational experiences involving baby and interventions that have been or will be medically unavoidable, even routine ones. This can be hard to do when parents are traumatized themselves and/or are trying to metabolize so much of what is happening already with their newborn. The idea can itself be paralyzing for some caregivers that find it challenging to make the move from overwhelming guilt anxiety and shame (believing that they are bad parents for having an infant with CHD, feeling inadequate as they are forced to hand over their baby to those that can provide what they cannot, as well as various distortions in thinking such as construing the birth of this infant as punishment that they are due, etc.) to constructive, useable concern and curiosity about the inner world of the infant (how to go about repairing the effects of stress and trauma on early attachment, for example, in later psychotherapeutic consultation). Secondly, having an awareness for just how influential early life is on future development is something that is largely easier said than done. Why? A lot is happening at an unconscious level in early life that lays a foundation or template for the development of personality and relating. Depending on the level of psychological mindedness of the parents and capacity for reflection on their own histories, it can be a tall order to cultivate an empathic stance grounded in seeking an understanding of the inner world of the infant, a world that seems far removed from the immediate adult experience. “Well, I’m fine, I don’t have memories of being an infant and I made it through hard times. And, baby has shown how strong he/she is by being such a fighter and heart warrior”. – One might hear. This kind of response involves a difficulty in seeing the infant as a separate being with a separate mind, as well as an identification with the aggressor wherein the parent repeats their own past, infantile or childhood experience of being unattended to while in a state of distress, perhaps by their own parent. Professionally, I do not deny a healthy resilience, but I also do not deny the reality of emotional scars that may seem initially invisible. It is important to note that just because the mind of an infant does not yet have access to elaborating experience with words does not negate the existence of an inner world with meaning-making processes that are working to digest moment-to-moment interactions and external stimuli—a baby that is trying to make sense of its environment and the information coming in from all senses. A baby is very vulnerable in his or her state of absolute dependency. When baby cannot be protected from harm, even due to well-intentioned, necessary medical intervention, the protective parental environment fails, yielding overwhelming affective states such as extreme anxiety and helplessness. This is where stress becomes trauma—when the intensity of the frightening events become unmanageable to the extent that physical and psychological integrity is threatened. These states and adaptive responses to stress can become traits, maladaptive coping patterns and consolidate into a particular attachment style, for example. An infant has then appropriate reason—danger—to resort to the use of extraordinary intra-psychic defenses to protect against such profound helplessness and other feeling states that would be overwhelming, but these come at a psychological cost. The use of these defensive strategies over time can contribute to future psychopathological outcomes—problems that can manifest in development with various symptomologies without proper psychotherapeutic treatment. I will not go into detail about the above here, but know that emotional muscle can be built at any age to address the need for mastery of feelings and promote restoration to progressive psychological development. This I will explore with you later. It is in the mind of an adult, however, that I have us consider the impact of defensive thinking, namely “magical thinking”, in the context of how medical trauma becomes minimized or denied. Everyone uses magical thinking at different times, especially when stressed, to deal with realities in life that if one were to become too aware of would lead to feelings that one may not have the capacity to cope with or wish to think about. An example of this is someone who has certain rituals or routines they use to self-soothe—actions that when carried out provide a degree of relief from anxiety, but are based on an illusion of control, a fantasy that they have more control over circumstances than they really do. “If I avoid stepping on the cracks in the sidewalk, then all will be well and this bad thing won’t happen.” When one is presented with a stressful situation, traumatic perhaps, there is a strong pull to regressively deal with circumstances through magical thinking and action. We see an example of this in how CHD has sometimes been talked about. There have been many discussions and confusions around a “fix” for CHD—many patients even falling out of care based on a perceived understanding that they are “fixed”. I would contend that some of this is due to the actual wish for a “fix” and magical thinking that eliminates CHD in the mind—pushing it out of awareness. This obviously is not good because CHD continues to exist and may make itself known in crisis form when the individual is forced into emergent medical consultation. This, unfortunately, is not uncommon as some people reaching out to speak to a Heart Ambassador with the Adult Congenital Heart Association do so because of a change in their medical status—individuals who have waited as long as possible, until there is trouble, to reach out and (re)start thinking about their CHD. Of course, improper medical advice and misinformation is also a factor in thinking one is “fixed”. Additionally, some medical professionals (physicians, surgeons, etc. ), idealized and imbued by their patients with a god-like omnipotence can, due to their own psychological conflicts, participate in a collusion by fulfilling the parental wish for nothing less than “rescuing my baby from death and fixing their heart for good”. The words doctors, surgeons and other professionals use during these intimate, critical moments and throughout care are incredibly meaningful and must be attended to carefully as pressures and expectations can run high. Fortunately, more medical knowledge about CHD has reduced the chance for gaps in understanding CHD as a lifelong condition warranting lifelong care. However, there are stories of cardiologists not specialized in CHD care that have contributed to problems in how their patients think about their condition and future. As you can see, transition from appropriate pediatric to adult care is an important topic that has psychological, as well as physical health implications. We can explore that later, too. In general, I think that a collective form of magical thinking can become employed to deal with these truly traumatic realities for all involved. A delusion of omnipotence manifests—a distortion of reality, a falsehood, is clung to that control is possible in the face of shear uncertainty, helplessness and powerlessness—commonly the very feelings felt by parents and many medical personnel experiencing their own reactions and feelings in the provision of care. “Just take him home and watch him flourish”, or other such remarks (this one made post-heart surgery and after two weeks of NICU care with emergent crises), although incredibly well-intentioned and reflective of significant medical progress, leaves out reference to how that infant will remain, proverbially, on the heart monitor and in a psychologically traumatized state unless attunement is brought to the infant’s inner state of dysregulation. PCHA: How can a parent best support the mental health their infant, child or adolescent living with CHD? 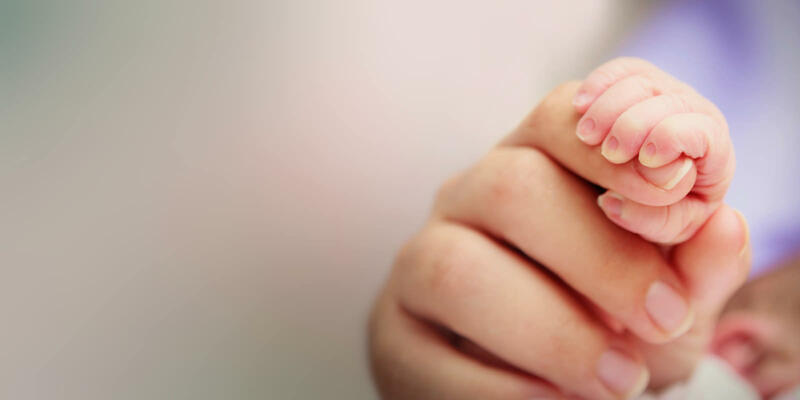 Mr. Wilmot: When I work with caregivers seeking help with their infant, child or adolescent, I conduct a thorough assessment of their situation and take a developmental history through multiple sessions of contact. The issues, strengths and challenges within a family system and within each individual is always unique. That said, I find that a deep need for understanding and a curious attitude is key in parents being able to parent thoughtfully and effectively and enhance their connection with their loved one. I frequently talk with the parents I work with and individuals I present to about building emotional muscle in themselves and facilitating the same in their infant, child or adolescent. Different emotional muscles are called upon at different stages of development for both caregiver and child. One emotional muscle I will provide an example of has to do with naming feelings. There is a saying that “if you name it, you can tame it.” This is important because words are a way of bringing feelings into the mind, in contrast to acting feelings out through the body (e.g., an eating disorder, aggression, self-harm, etc.). Already being such a focus of attention and intervention, the body of a person living with CHD can be vulnerable to being used as an object to store or attempt control of feelings—the body (and physical behavior) becoming a primary way of dealing with intolerable emotions and conflicts rather than through the use of words in relationship. This is where somatization, or the conversion of psychological conflicts can occur into physical symptoms. On more than one occasion, I have seen Facebook posts from worried parents of children with CHD wondering why their child is checking their pulse so much, seemingly worried and appearing anxious. Frequent commentary proceeds with concern about the child’s physical wellbeing, back and forth conversation about the latest appointments and the eventual decision about whether or not to call the doctor. What I would like to posit is that children can also express and signal to us their discomfort with feelings through attention to their body. It is the way so much attention has already been garnered, so what’s a child to do but utilize their behavior and body to attempt communication when words, for one reason or another, are not an adequate channel of communication at the time. The idea that this child may not be trying to communicate a physical problem, but an emotional one merits attention, slowing down and spending some quality time together. Recently, a parent had asked about when the appropriate time was to start talking about their child’s scar. Common questions revolve around how to talk about CHD at an appropriate developmental level with one’s child or adolescent. As you can imagine, when we don’t know the answer to something we end up left to our own imagination to fill in the blanks. Sometimes the imaginative “filling in” can be more catastrophizing or anxiety-inducing than if a reality-based conversation had taken place to provide information. This occurs with children and adolescents, as well—and many thoughts and fantasies can run wild that create anxiety. Providing education about CHD, making oneself a “safe playground for all feelings” and talking about fears and questions that arise are an integral component of creating the conditions for building emotional muscle. PCHA: When would a parent need to seek professional consultation? Mr. Wilmot: Parents present for psychotherapeutic consultation for infinite reasons—many times symptoms and problems are in mind, while other times a desire to act preventatively is active. Sometimes the treatment does not result in a need to see the child for quite some time or at all, as parent work becomes a primary focus. Eventually, based on the unique situation presented, I offer impressions and recommendation for individual treatment of the child or adolescent, if appropriate. Additionally, many parents find their own therapy crucial, as it can also help address any “ghosts in the nursery” that may be impinging on their ability to parent and foster progressive psychological development. Unfortunately, stigma around seeking and obtaining mental health services is still present in our society. However, this should not prevent anyone from the care they deserve. PCHA: What can be done throughout the lifespan to minimize the potential for traumatization due to medical intervention and living with CHD? Mr. Wilmot: That is a good question. As I mentioned previously, thoughts and fantasies in the mind of the child and adolescent can run wild when unknowns and uncertainties exist. This is especially the case when thinking about upcoming doctor appointments, surgeries, concerns and fears about the future and anything with potential to overwhelm or scare. Not talking about these things, hoping for the best and surprising or lying to a child or adolescent with matters concerning their body and health does not bode well. Whether it is preparing a child or adolescent for a routine doctor appointment or a major surgery, there are steps that can be taken to reduce the potential for traumatization. Having time to think about, sit with and explore feelings, thoughts and fantasies through talking, drawing or playing are avenues to accessing the inner world. Sometimes visiting the hospital and touring can be helpful with the ability for the child or adolescent to ask questions and gain a sense of understanding and familiarity. Parents should not be fully burdened by the task of preparing their child or adolescent for surgery, as medical personnel collaboration and engagement is also critical. There is much more to say here, but know that there is always room to reduce potential for trauma no matter the age or circumstance. Professional consultation is warranted. 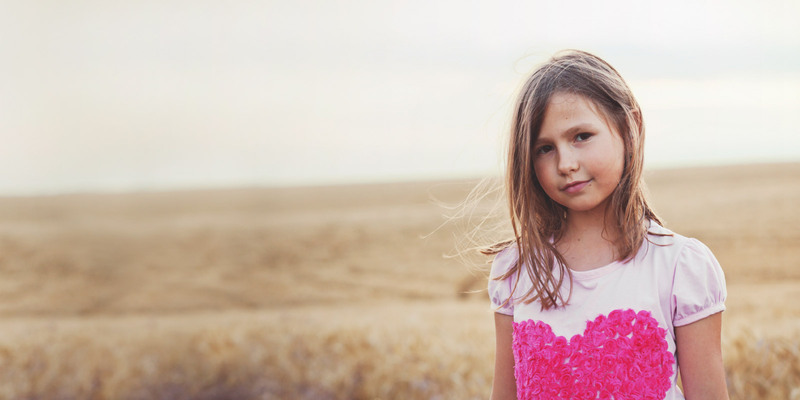 PCHA: What can you say about the siblings of a child or adolescent with CHD? Mr. Wilmot: I am so glad you asked. You know, the psychological and emotional impact of having a sibling with CHD is getting more coverage. It is an incredibly important topic. Growing up with a sibling with CHD can be traumatic. It also presents challenges in family and sibling dynamics that can be difficult to manage, but are ripe for more emotional muscle building. For example, what is a parent to do with feelings of envy, jealousy, hatred or anger between siblings. One example is in how a sibling may feel envious of the other’s attention received by their CHD, feeling like they are not loved. At the same time, the child with CHD may react aggressively, angered that the sibling is “normal” and can participate in more sports and activities than they can. Resentments and complicated feelings can impinge on individual and family functioning. Ignoring the reality of sibling feelings about CHD is problematic. 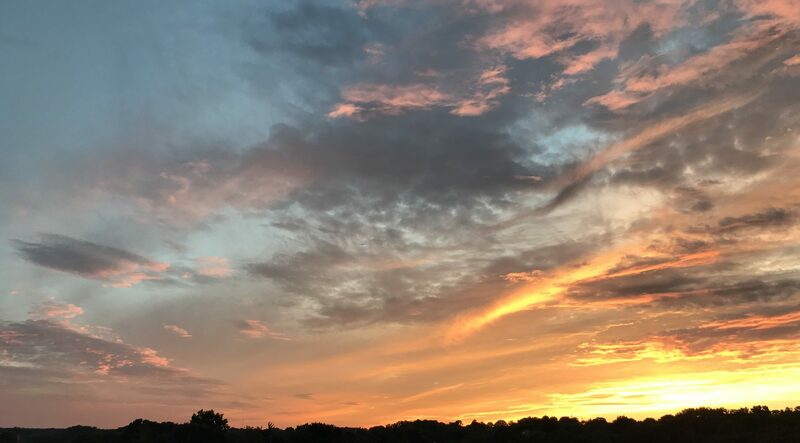 My experience hearing siblings talk in groups I have led that facilitate the expression of all these varied thoughts and feelings at heart camps has shown that there can be much under the surface that deserves a safe space to come up. Again, professional consultation is just as warranted as for the child or adolescent with CHD. PCHA: What is the matter with transitioning to adult congenital care and how is this a psychological issue, as well? Mr. Wilmot: Taking responsibility for one’s own body and health is a developmental achievement. As I mentioned before, the dropping out of care of adult CHD patients over time can be related to whether or not one can hold oneself responsible and function autonomously and also how prepared one is in their understanding of their condition. Important relationships exist for many CHD patients from infancy through young adulthood—the pediatric cardiologist, surgeons, nurses, etc. Feelings about these very important people can have significant meaning and must be felt and talked about in order to move forward on an internal, developmental level with regards to transition. Also, parental engagement has been a norm in the maintenance of health with providers—parents as advocates for child and adolescent. Transitioning to adult congenital care can be like going away for college—a time to spread one’s wings and gain competence and mastery with getting to classes on-time and being an independent, capable advocate for oneself. Replace classes with appointments and this can be an example of some transition experiences. There is much to say about transition, but ultimately there is growing awareness that one cannot just be referred out to an adult cardiologist through an abrupt termination in pediatric care because an age limit has been reached and a letter sent out. Feelings, relationships and the process must be respected for a successful transition in care. PCHA: Since you have experience developing programs for CHD camps, what can you say about the CHD camp experience overall? Mr. Wilmot: CHD camps are special places. As a prerequisite, camps designed for children and adolescents with congenital heart disease are staffed with the necessary medical professionals and oversight to provide a foundation for a safe experience. As is common, camp time includes myriad activities. With a CHD camp, there is cause for additional thinking about the allocation of time. As one camp coordinator for a CHD camp put it, “I feel like we are designing out camp to make sure the kids are ‘entertained’ the entire time and we probably are not allotting enough time for them to really take time to think and reflect with other kids who are similar to themselves.” I believe that it is a concern that often goes overlooked even with the best of intentions. Without giving the space needed to slow down and have time with feelings, we would be propagating a message that scary things cannot be talked about, at the one time each year that CHD kids can come together. The same camp coordinator continued with, “I feel like we, as the people putting camp together, are afraid to venture out and do something we aren’t familiar with and don’t really know how to pull it off (and I for sure put myself into that).” I think this is very helpful to acknowledge and think through. To not dedicate time to what is going on inside is like telling a child to come play with other kids who have gone through and live with things like you (some scary), but we are not going to talk about how any of that feels to you. For some, going to camp is an emotional confrontation, and for others going to camp is an integrated experience that offers an opportunity for connection and a chance to feel more understood. In both cases, there are feelings ripe for expression via art, writing, talking and other play within the safe container of a professionally facilitated psychotherapeutic group. 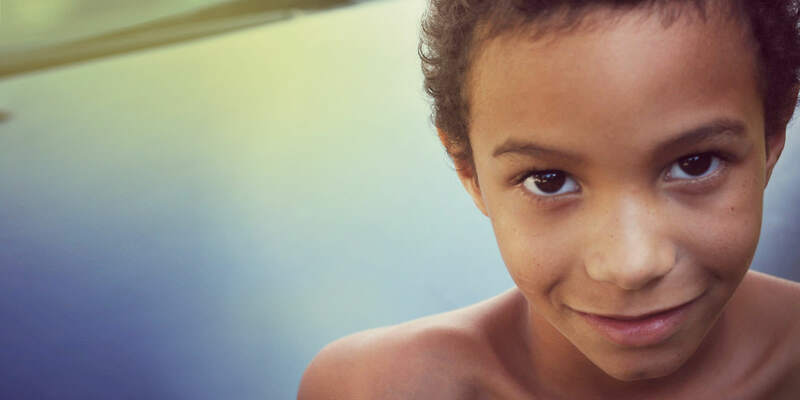 Ways of connecting that are accessible to both the extroverted and introverted child can help to reach each camper’s inner world. A psychotherapeutic group experience can provide a space for “big feelings” to become more understood and help the child or adolescent living with CHD come to a new level of mastery of their own feelings, building fundamental emotional muscle. Camp offers a unique time and place to touch on the emotional needs of each camper with each of their separate, yet connected experiences living with CHD. In my consultation work with CHD camps, I advocate for the time needed to directly intervene on these emotional levels. PCHA: What are your thoughts on current research trends regarding CHD and mental health? Mr. Wilmot: A recent article I corresponded on put forth a conclusion that quality of life was very positive for CHD children and adolescents. There was not a mention of trauma in the article and the results were based solely on self-report by children and adolescents. Let me start by saying that the need for this kind of research is huge. However, what I want to also say is that the use of self-report for research purposes has serious limitations. Children and adolescents may not feel safe to answer truthfully (“What if mom and dad see, and they think I need to go to another doctor?”) or questions may be too standardized to truly assess the full psychosocial circumstance. Other issues exist with self-report, as well. Individualized inquiry through interviews with mental health professionals over time, I think, is a better framework for obtaining in-depth information about the quality of one’s life and state of mental health. Quantitative assessment alone misses data, especially since we are creatives of narrative with complex inner-workings. The interviews can also gain a more comprehensive evaluation of issues (e.g., asking about body image, physical attractiveness concepts, etc.) in other domains not asked about on the brief self-report instrument that would also impact quality of life. More research is needed on the intersection of mental health with the CHD population—quality over quantity, in my opinion. PCHA: Mr. Wilmot, we appreciate your time. Thank you for answering these crucial questions. I think you have shed a light on many important issues to the CHD community. Austin E. Wilmot, M.S.W., L.C.S.W., a national expert in the treatment of children, adolescents and adults living with congenital heart disease, is a child and adult psychotherapist and consultant in clinical practice in St. Louis, Missouri. Mr. Wilmot earned his Master of SocialWork from the George Warren Brown School of Social Work at Washington University in St. Louis, and completed post-graduate training at the St. Louis Psychoanalytic Institute. He is also a consulting psychotherapist for the Washington University School of Medicine Adult Congenital Heart Disease Center. Mr. Wilmot has worked with parents, families, children, adolescents, adults and professionals within the congenital heart disease (CHD) community. He also has experience consulting with CHD camps and developing programs that address the unique needs of children and adolescents living with CHD. He is active on the local and national level through speaking, teaching and consulting. He frequently presents on the topic of medical trauma and other mental health issues—his upcoming seminar for professionals, “When helpers hurt: Understanding and working with medical trauma”, is scheduled for October 2017 in St. Louis, MO. More information about Mr. Wilmot’s practice, including his contact information, can be found at heartchd.com and austinwilmot.com.